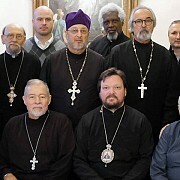 On December 2, 1990, Archpriest George Konyev was ordained to the Holy Priesthood by His Eminence Metropolitan John of Leningrad and Ladoga in the St. Nicholas Naval Cathedral in present day St. Petersburg. 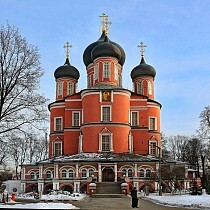 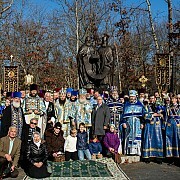 On Friday, December 4, the feast of the Entry of the Theotokos into the Temple, His Eminence Hilarion, Metropolitan of Eastern America and New York, First Hierarch of the Russian Church Abroad celebrated the Divine Liturgy in St. Alexander Nevsky Diocesan Cathedral in Howell, New Jersey. 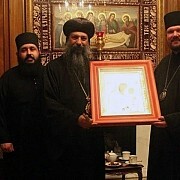 On Saturday December 11, a meeting was held between the Administrator of the Patriarchal Parishes in the USA, His Grace Bishop John of Naro-Fominsk and the Coptic Bishop David of New York and New England. 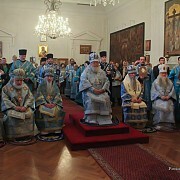 On Sunday December 13, the 28th Sunday after Pentecost and the feast of the Holy Apostle Andrew the First-Called, the Administrator of the Patriarchal Parishes in the USA, His Grace Bishop John of Naro-Fominsk celebrated the Divine Liturgy in St. Andrew's Cathedral in Philadelphia, PA.
On Tuesday, December 15, under the chairmanship of His Grace Bishop John of Naro-Fominsk, Administrator of the Patriarchal Parishes in the USA, the last regular session of the Bishop's Council for 2015 was held in the refectory of St. Nicholas Cathedral in New York City. 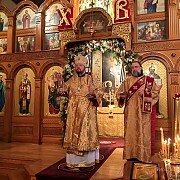 On Saturday December 19, the feast of St. Nicholas the Wonderworker; His Grace Bishop John of Naro-Fominsk, Administrator of the Patriarchal Parishes in the USA led the Divine Liturgy in St. Nicholas Cathedral, NYC on the occasion of its patronal feastday. 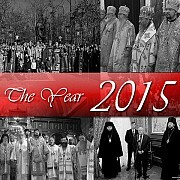 As the year of 2015 concludes, the website of the Patriarchal Parishes in the USA has published a photo-report containing photographs of notable events occurring within the life of the Patriarchal Parishes in the USA this year.